Testifying before Congressional committees with jurisdiction to appropriate funds for biomedical research. Meeting with officials of the National Institutes of Health (NIH) institutes with responsibility for the muscular dystrophies. Organizing, sponsoring, and attending conferences and symposia. Informing other forums such as the National Academy of Sciences and the Institute of Medicine about increasing the level of support for FSHD research. Participating in the MDStarNet muscular dystrophy public surveillance research on aspects of FSHD issues. 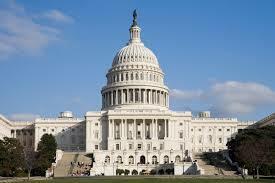 The Society also continually educates Congress on behalf of all concerned with FSHD. Each year, the Society submits written and oral Congressional testimonies on the status of funding and progress on building FSHD research portfolios as well as on the current scientific opportunities in FSHD basic, translational, and clinical research. The Society also submits appropriations testimony before the U.S. House and U.S. Senate Appropriations committees regarding appropriations for the NIH for research on FSHD. Acting as a liaison among consumers, government, and industry concerning research and development of drugs, therapies, and devices for FSHD. FSHD Champions, an international alliance of FSHD funding organizations advocating for increased awareness and research. MD-CARE Act 2001. The FSH Society was instrumental in rewriting the MD CARE ACT 2001 to meet the needs of the entire community—people with all nine major types of muscular dystrophy. On December 18, 2001, Congress passed the Muscular Dystrophy Community Assistance Research and Education Act (MD CARE ACT), a law mandating research, study, and education on each type of muscular dystrophy. The law established the Muscular Dystrophy Coordinating Committee (MDCC) oversight committee to coordinate activities across the NIH, national research institutes, and federal health programs relating to all forms of muscular dystrophy. The MDCC is responsible for developing and implementing a plan for conducting and supporting research and education on muscular dystrophy, measuring progress, and periodically reviewing and revising the plan. MD-CARE Act 2008. The FSH Society was also quite involved with the MD CARE ACT 2008 reauthorization process and made suggestions and comments to strengthen the Act for all non-Duchenne muscular dystrophies. MD-CARE Act 2014 Re-authorization. The FSH Society provided extensive commentary and status updates to the MDCC on progress in FSHD research and patient care, as well as recommendations of priority areas for the future.